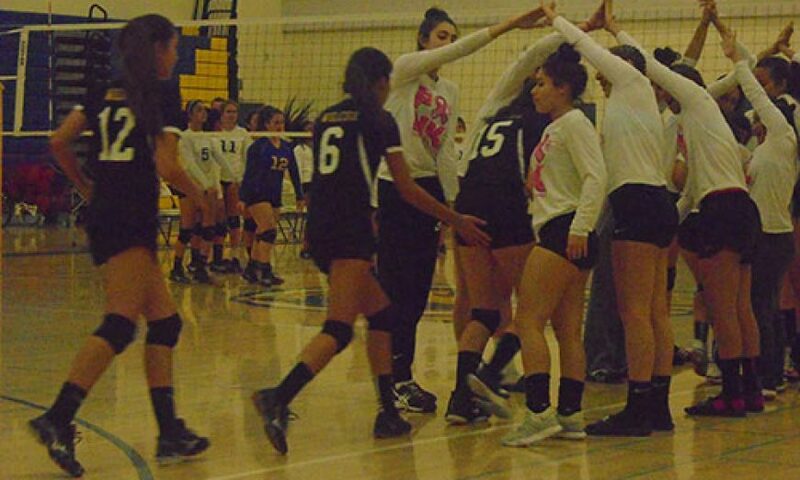 Tuesday’s junior varsity volleyball match between the Santa Clara Bruins and the Wilcox Chargers was yet another chapter in what could be a best-selling thriller. All of the rivalry volleyball matches this season have been intense, edge-of-your-seat type games. This time around the two JV teams went the distance in a best-of-three match. Santa Clara capped off their victory by a rather comfortable 15-11 margin compared to the the first two sets which were won by the slimmest of margins, 26-24 and 25-23. Santa Clara would come back to win the first set 26-24 after trailing 5-0 to start. Wilcox would even things up by taking the second set. Given the tight nature from start to finish, it’s not surprising both head coaches were pleased with their respective efforts regardless of winning or losing. For the Bruins, it was Oeschger and Nevaeh Tayama who stood out offensively, but the play of the game was arguably Nguyen coming up with a huge dig in the final set with the score tied at 7-7. Santa Clara’s setter Mikaylee Garcia also showed a knack for hustling and saving balls far off the court. 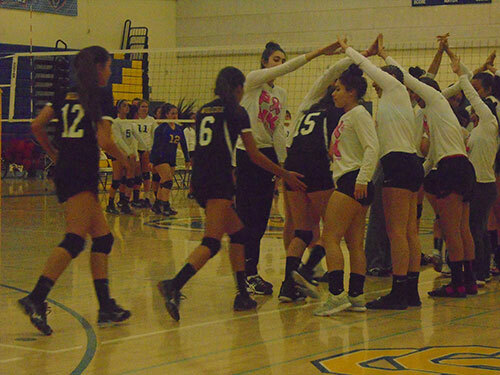 Wilcox likewise received strong showings from both their libero Isabelle Cannon and middle blocker Gabriella Cavallos. With the victory, the Bruins even up their season series with both teams winning on their home court.